iPad ProにApple Pencil用のペンホルダーを接続できるケース「CoverBuddy for iPad Pro」がクラウドファンディングに登場。 | AAPL Ch. Never lose your Apple Pencil or Cap! CoverBuddy offers the world’s first patent pending interchangeable FULL BODY Apple Pencil holder. The design is minimalistic and smart, and its created to blend in with your iPad Pro. 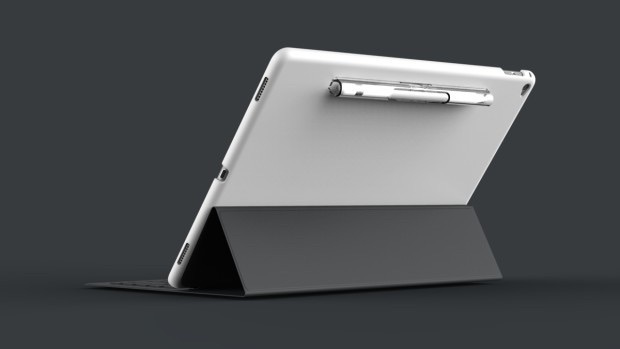 CoverBuddy is designed with special cut-out area to seamlessly fit your Smart Keyboard. It’s also compatible with Apple’s Smart Cover. We are deeply saddened by the tragic incidents in Paris on Friday 13, our hearts go out to the victims, injured, and their families. We will be donating 20% of our proceeds on this project to the French Red Cross. A copy of our donation receipt will be emailed to you.